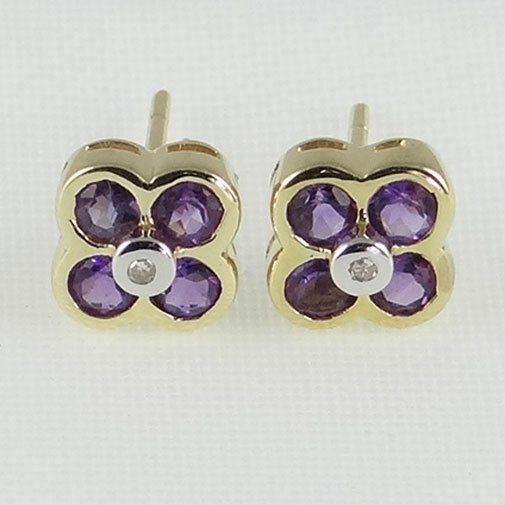 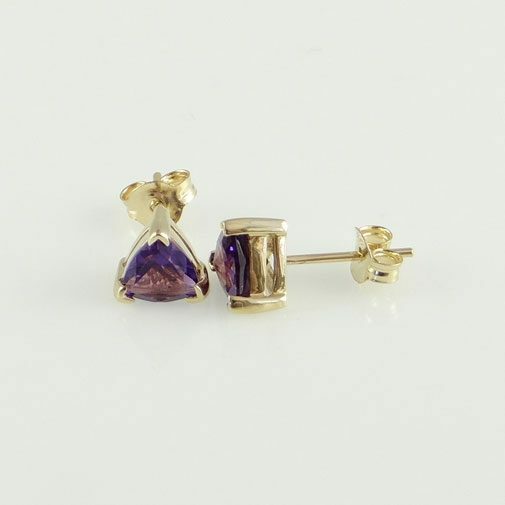 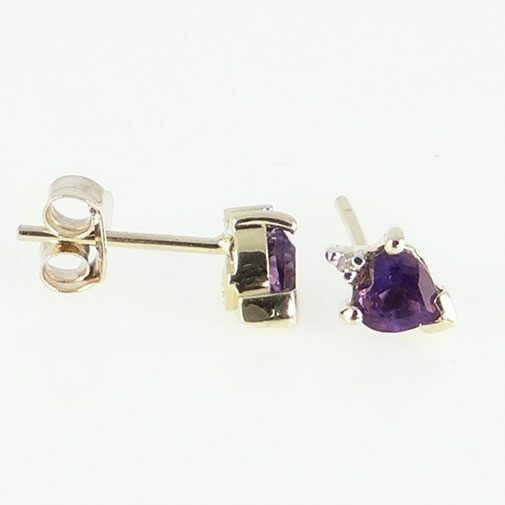 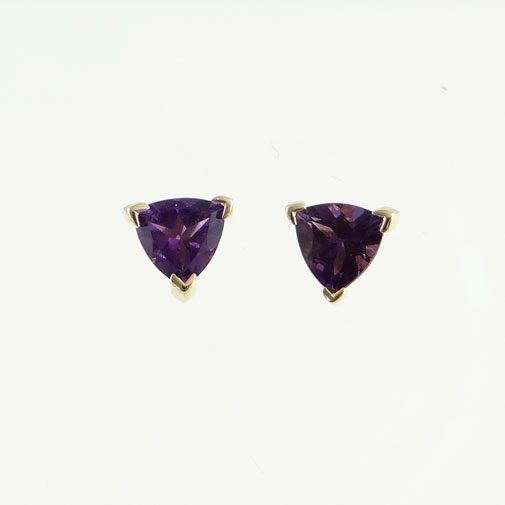 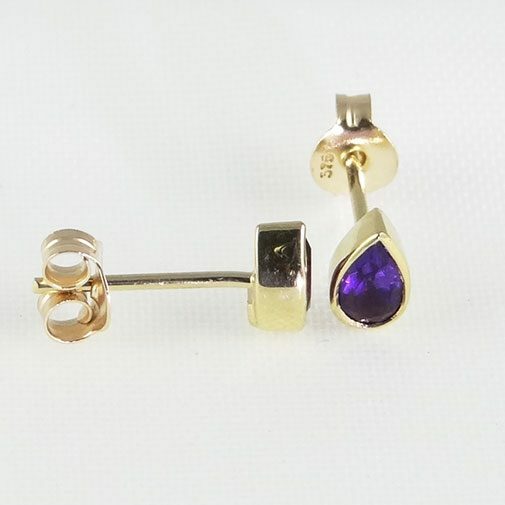 An elegant pair of 9ct Yellow Gold amethyst heart and diamond stud earrings. 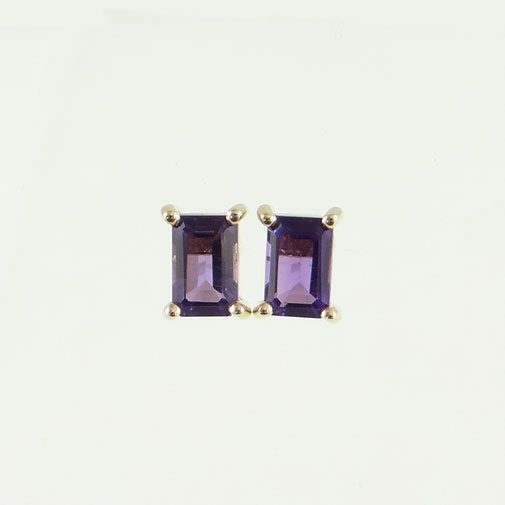 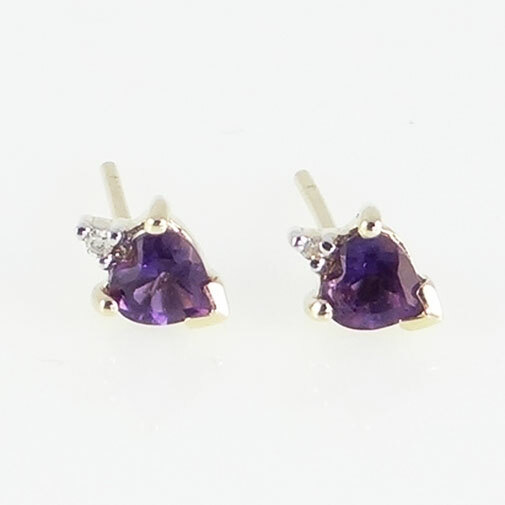 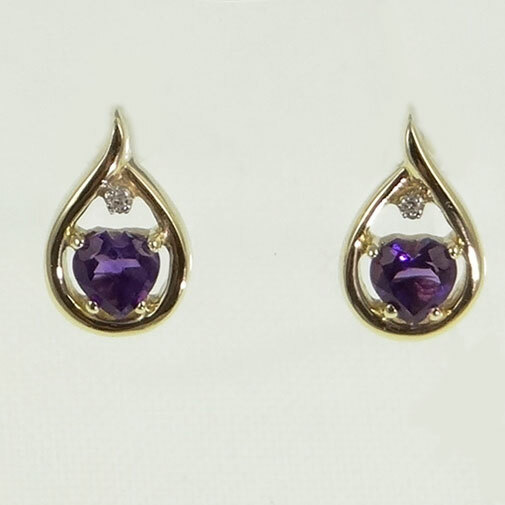 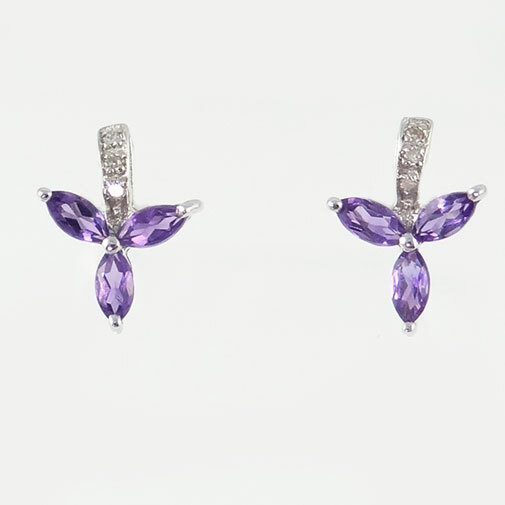 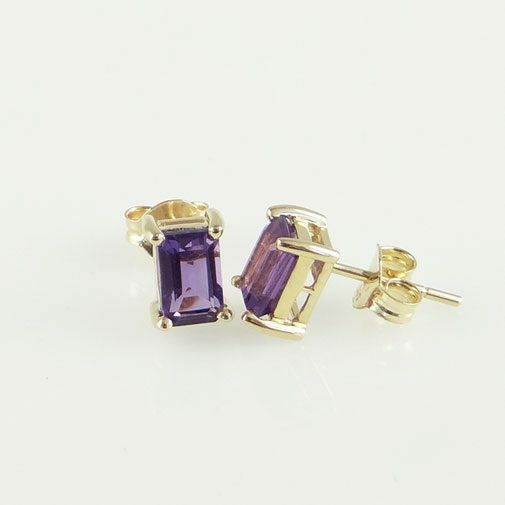 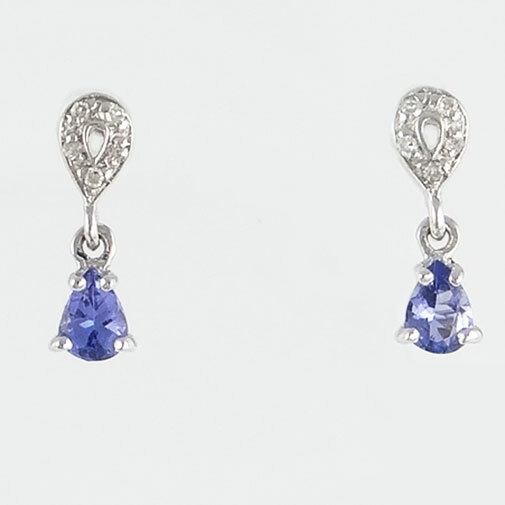 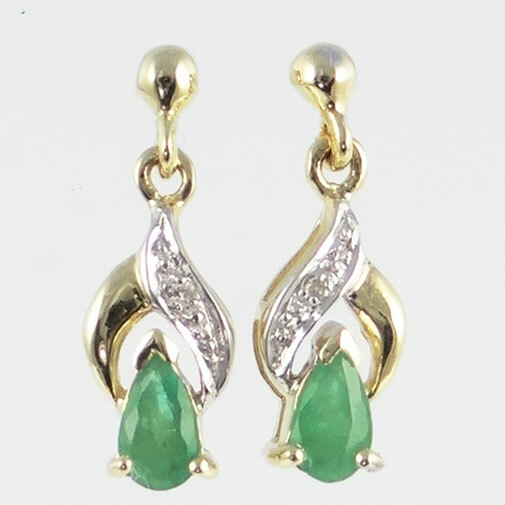 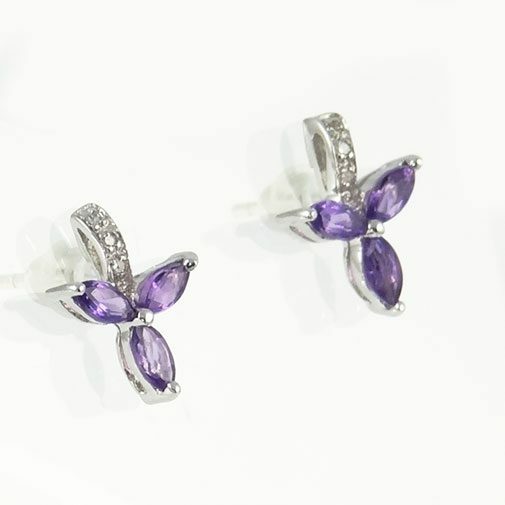 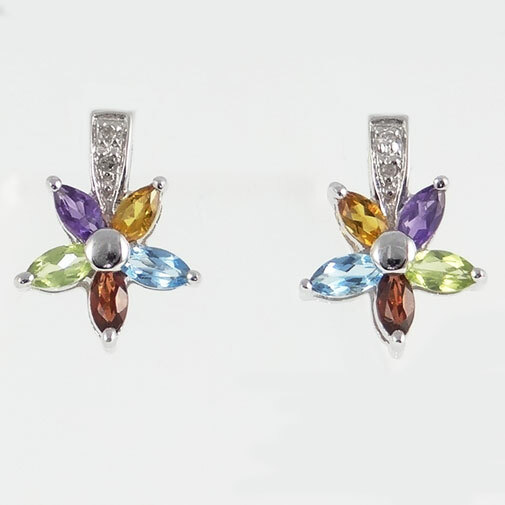 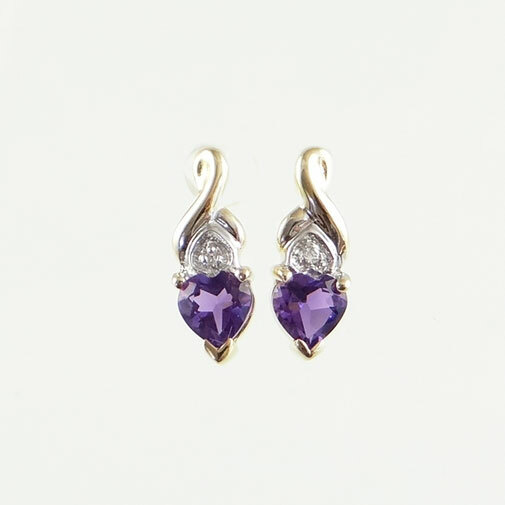 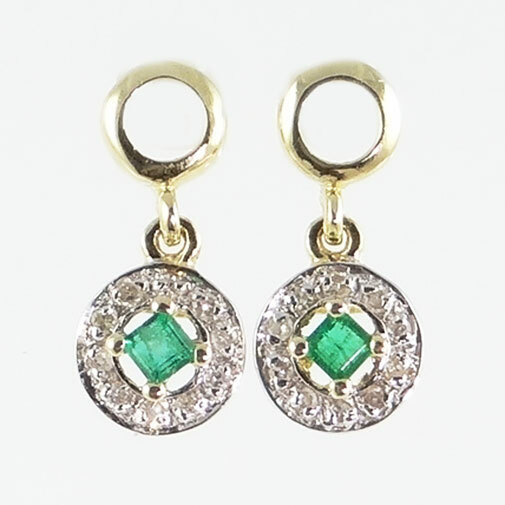 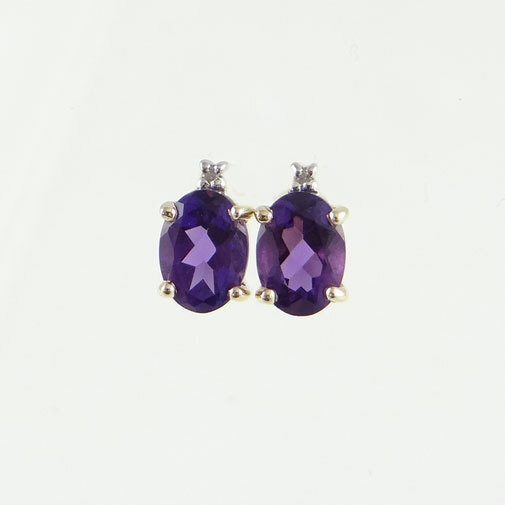 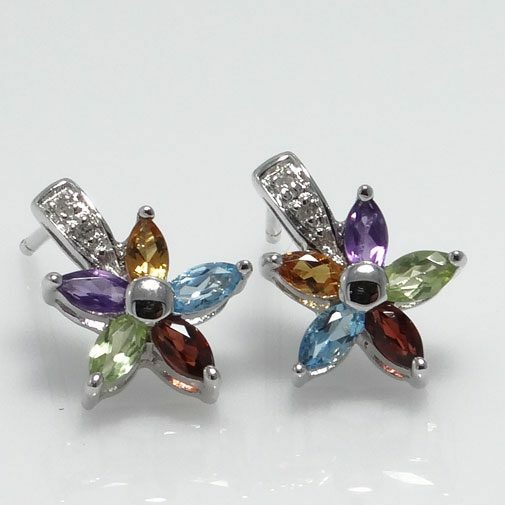 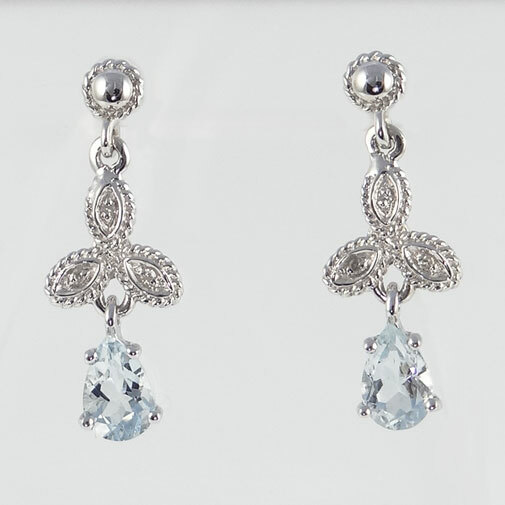 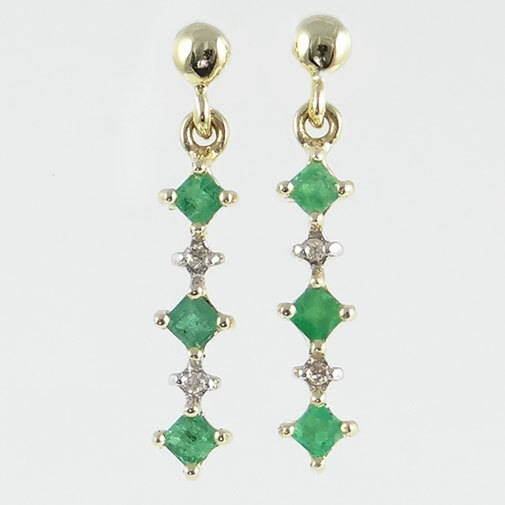 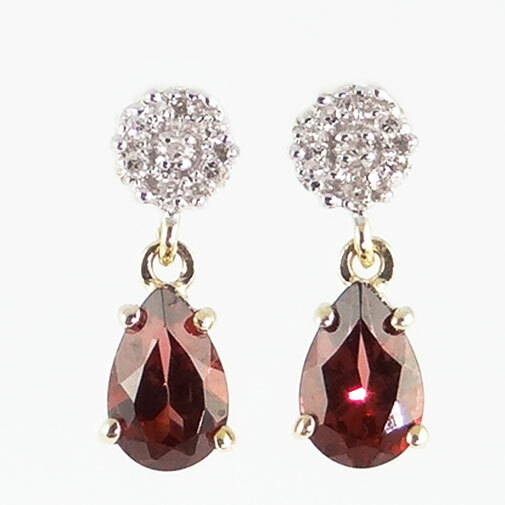 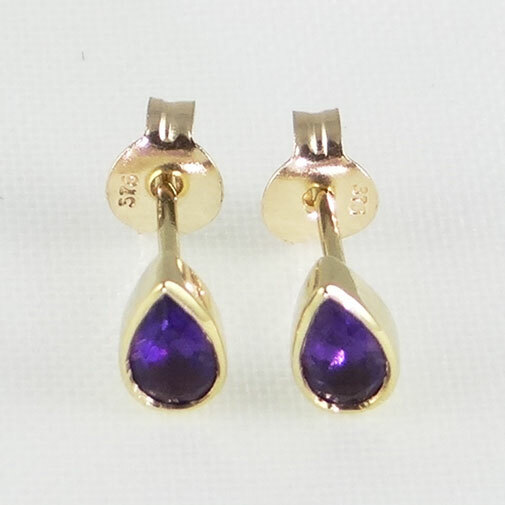 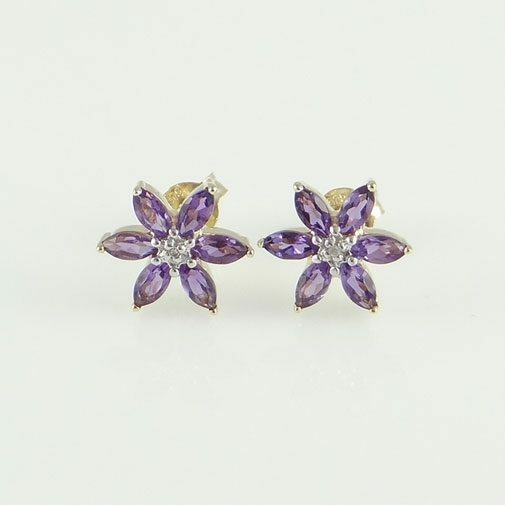 These earrings are set with a cut amethyst gemstone and a sparkling accent diamond. 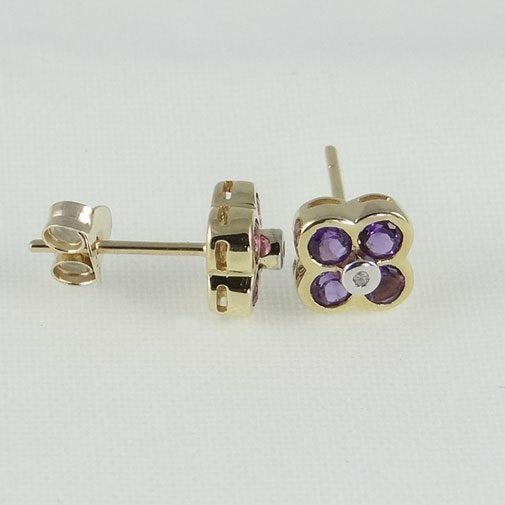 Measurements: 12mm x 4mm approx.